Located on the second level between sections 210-212. Bridgestone Arena (Nashville Predators stadium) has a mothers' lounge on the second level between sections 210-212. It's currently one of the only NHL arenas to offer a dedicated nursing mothers room to help breastfeeding and breast pumping moms at games and events. For all you nursing mamas out there, I took my four month old with me last night to a concert and was a little anxious about when and where to feed my baby. Well!! I asked at the fan desk if there was a couch or place I could sit (long shot, I thought) and they directed me to the nursing mother's room! Diaper changing table, rocking chairs, TV and everything! I always enjoy my experience at Bridgestone but this out it over the top for me. And the lower bowl seats were more than enough room for me to sit with my baby. Seriously a great experience! If dedicated nursing mothers room is occupied or delayed First Aid Centers are located on the main and upper concourses. The main concourse first aid station is located across from Section 111. The first aid station on the upper concourse is next to Section 311. 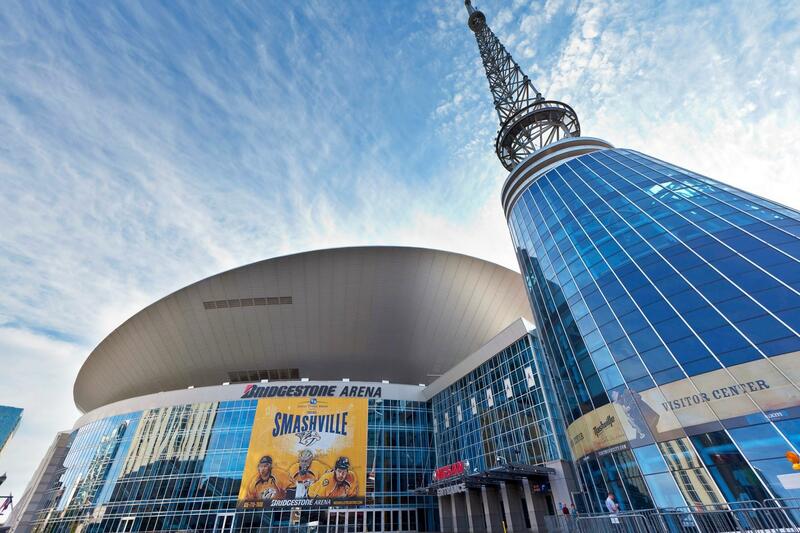 Trained medical personnel are on staff for every Bridgestone Arena and Bridgestone Arena Plaza event and are available to those needing assistance. Note: This is one of the larger official dedicated NHL nursing rooms. Note: State of Tennessee protects nursing mothers right to publicly breastfeed whenever and wherever she may be in public or private places without fear of harassment. This NHL team and others were contacted about maintaining or creating proper hockey stadium nursing rooms.